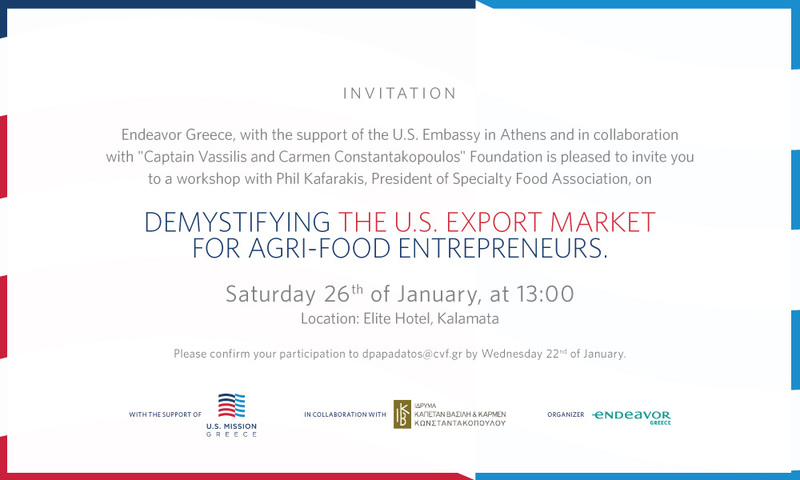 Mr. Kafarakis will speak about how a boutique food company should enter the US market and what are the opportunities for Greek food in the US, what is the role of Fancy Foods Expo and how can somebody participate in the Fancy Foods Expo. The workshop will be held on Saturday, 26th January, at 13:00 at Elite City Resort, in Kalamata. Please kindly confirm your participation to [email protected] at your earliest convenience and no later than 22th January. Attached you will find the invitation and Kafarakis' bio.